"The sites that were taken in were INCREDIBLE! 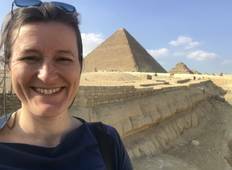 There was very LITTLE down time, so..."
"I really enjoyed the tour, The pace was energetic as I had added a number of optional..."
"I had the most wonderful time in Egypt with On The Go Tours. 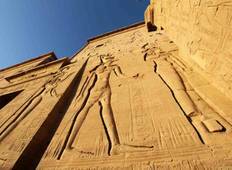 This itinerary is absolutely..."
"we saw the most important places around Luxor and Aswan. Mohamed in Cairo was super..."
"Our trip was amazing. The tour co. was fantastic as was the tour guide. Salib, was..."
"We enjoyed the tour and all the information we were given by our guide. It was an..."
"I have my private tour via Vacation to Go. Thank you so much for everything! You..."